Panel 2: Cyber Governance: What Should Boards be Thinking About to Respond to the Threat? Please follow this link to RSVP and register either for the in-person conference or the webinar. Ellen Odoner heads Weil’s Public Company Advisory Group, which advises U.S. public companies and U.S.-listed foreign private issuers on SEC disclosure, financial restatements, internal control matters and corporate governance. She is one of the leaders of the Firm’s high-stakes corporate counseling team. She also specializes in merger and acquisition and securities transactions, particularly those with cross-border elements. Ms. Odoner represents boards of directors, audit committees, special committees of independent directors, disclosure committees and legal and financial officers of U.S. and non-U.S. companies. She also has extensive experience representing non-U.S. companies in the U.S. and in structuring multi-jurisdictional transactions to harmonize U.S. and non-U.S. regimes and obtain innovative SEC relief. Ms. Odoner assisted the Financial Crisis Advisory Group established to advise the Financial Accounting Standards Board and the International Accounting Standards Board on the standard-setting implications of the global financial crisis. She lectures on SEC, governance and M&A developments and co-chaired an ABA Task Force on the SEC’s cross-border exemptions. Ms. Odoner is also active in the Firm’s diversity and pro bono initiatives. 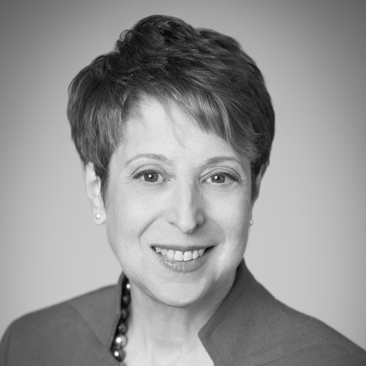 She was the founding chair of Women@Weil and leads the Firm’s representation of the Breast Cancer Research Foundation. 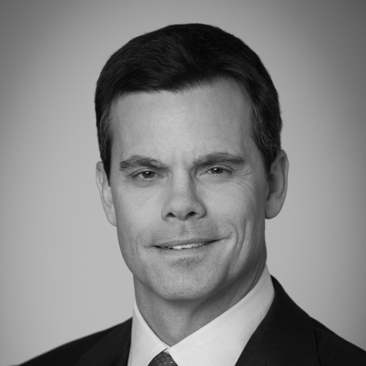 Kyle Krpata is a partner in Weil’s Silicon Valley office specializing in Private Equity and Mergers & Acquisitions. He has a wide ranging corporate law practice with particular emphasis on private equity transactions, public and private mergers and acquisitions, dispositions, distressed and bankruptcy acquisitions and growth equity and venture capital transactions. He represents private equity firms and public and private companies in a variety of industries, and regularly counsels boards of directors on corporate governance, fiduciary duty, corporate control and other strategic matters, including cyber-security and enterprise risk management. Mr. Krpata has been recognized by Chambers USA 2010-2013 and Legal 500 US 2013. He was named a “Leading” Lawyer for Mergers & Acquisitions in the U.S. by IFLR 1000: The Guide to the World’s Leading Financial Law Firms 2012-2013. In 2011, Mr. Krpata was selected by Investment Dealers’ Digest (IDD) for its annual “40 Under 40” list of the top forty up-and-coming professionals in the finance industry. Ian M. Miller is the Chief Information Officer at Weil. He has global responsibility to enhance the Firm’s practice with information technology and to promote sharing of knowledge and information inside the Firm and with its clients. Wade Baker is the Director of Cybersecurity Strategy and Research for Verizon Enterprise Solutions. In this role, he is responsible for the overall direction of security products and services, technology capabilities, strategic business partnerships, and security research programs. Mr. Baker has over 15 years of experience in the IT and security field. His background spans the technical-managerial spectrum from system administration and web development to intelligence operations and risk management. Prior to his tenure at Verizon, he spent 5 years on the faculty of two major research universities, most recently in the Pamplin College of Business at Virginia Tech. A researcher at heart, Baker’s work on various topics has been published in a number of academic journals, professional magazines, industry reports, and books. He had the privilege of consulting with the President’s Information Technology Advisory Council, and his research was featured in the 2005 Report, “Cyber Security: A Crisis of Prioritization.” His PhD dissertation explores the use of decision support systems to improve information security operations and management decision-making. Baker is the creator and lead author of Verizon’s Data Breach Investigations Report and the Payment Card Industry Compliance Report series. David Burg is a principal in PwC’s U.S. Advisory practice and PwC’s Global and U.S. Cybersecurity Leader. In this role he leads a team of cybersecurity professionals who assist multi-national businesses, private organizations and governments to understand, plan for and mitigate the risk of global cyber threats. Based in PwC’s office in McLean, VA., Mr. Burg leads a variety of engagements around the world, including work in connection with a number of significant sensitive data breaches and intellectual property thefts, hacking events, forensic investigations and security and vulnerability assessments for clients in a range of industries. He has lectured at NYU’s Stern School of Business, Georgetown University, and Penn State University. Mr. Burg regularly contributes to and has been quoted in a variety of business and industry journals, including The Wall Street Journal CIO Journal, The Wall Street Journal Risk & Compliance Journal, The Washington Post, Financial Times, SC Magazine, CSO magazine, Consulting magazine and has been a guest on NPR. He has presented a wide range of topics at global corporations, law firms, industry events, and government agencies. Mr. Burg holds an MBA from the College of William and Mary and a BA from the University of Pennsylvania. Mr. Conkle is the commercial services lead for G2, Inc. He assists clients in developing and improving their cybersecurity programs based on their risk tolerance through the use of the Cybersecurity Framework developed by NIST. Tom and his team provide cybersecurity engineering and implementation support to various commercial organizations. His support includes: Cybersecurity Framework Training; facilitating Cybersecurity Framework implementation seminars; and providing implementation support to help commercial organization use the Cybersecurity Framework. He has over 16 years’ experience providing information system security engineering support to a wide range of clients including the Intelligence Community and several major financial institutions. He is the co-author of the Guide for On Going Authorizations and Understanding the Federal Alignment to the NIST Cybersecurity Framework v1.0. Both of these papers identify ways organizations can grow beyond a security compliance checkbox approach to a holistic cybersecurity program that is continually monitored and improved to achieve security compliance as a byproduct. Prior to joining G2, Tom was a Sr. Associate at Booz Allen Hamilton where he led the security compliance team supporting commercial clients. He has performed dozens of security control assessments and risk assessments for commercial organizations. Prior to joining the commercial team within Booz Allen, Tom assisted a major intelligence agency in transitioning to the NIST Risk Management Framework (RMF) and led multiple teams responsible for evaluating the security risk imposed by new technologies and systems being deployed. Tom holds a BS in Information Technology from the University of Phoenix and is a Certified Information System Security Professional (CISSP). Lanny J. Davis is a lawyer, crisis manager, lobbyist, communications consultant, author, and television commentator. One of the most sought-after legal crisis managers in the country, he provides strategic counsel to LEVICK clients under scrutiny on crisis management and legal issues by combining legal, media, and political strategies. Mr. Davis, who develops bi-partisan advocacy strategies and manages communications programs around litigation and crises to protect brand reputations, is often called to serve as on-camera spokesperson on behalf of individuals and corporations. A lawyer and communicator with decades of experience, Lanny Davis has served in numerous roles, most significantly as former White House special counsel to President Clinton. He has been a regular television commentator and political and legal analyst for MSNBC, CNN, CNBC, and network TV news programs. Mr. Davis has published numerous op-ed/ analysis pieces in the New York Times, The Wall Street Journal, the Washington Post, and other national publications. He is currently a contributor to Fox News and has a “Purple Nation” column that appears regularly in The Hill, The Huffington Post, FoxNews.com, The Daily Caller, and Newsmax. He can be followed on Twitter @LannyDavis. Scott N. Godes is a veteran trial lawyer with deep experience in insurance coverage matters and technology issues. He is a partner in Barnes & Thornburg LLP’s Washington, D.C., office and is a member of the Litigation Department and the Policyholder Insurance Recovery and Coverage Group. Mr. Godes has assisted a variety of clients over the years to obtain more than $1 billion in insurance coverage. In one of his most significant matters, he was co-lead counsel in a landmark class action trial, described as one of the top ten insurance coverage decisions of 2007. It resulted in hundreds of millions of dollars of insurance being available for tens of thousands of claims. For several years, Mr. Godes has focused his insurance recovery practice on coverage for cybersecurity and privacy claims. He counsels clients and litigates coverage questions regarding cybersecurity, data breach, cyberattack, privacy and other technology-related claims. He is a co-chair of the American Bar Association’s Computer Technology Subcommittee of the Insurance Coverage Litigation Committee of the Section of Litigation. He has significant experience in coverage questions relating to account data compromise events, under both cyberinsurance and other insurance policies. A prolific author and frequent speaker at national conferences on these topics, he often is quoted in leading industry publications on these issues. Mr. Godes is the lead editor of the BT Policyholder Protection blog, and can be found on Twitter @scottgodes. Tracie Grella is Head of Professional Liability for Global Financial Lines at AIG. In this role, Ms. Grella is responsible for establishing underwriting strategy and implementing best practices across multiple lines of business including cyber liability, reputational risk insurance, architects and engineers liability, and specialty professional liability worldwide. Most recently, Ms. Grella served as President of Professional Liability for Financial Lines in the U.S. and Canada Region. Ms. Grella began her insurance career with AIG in 1995 as a professional associate in AIG’s U.S. Executive Liability division, and subsequently held a number of positions of increasing responsibility, including President of National Accounts and Chief Underwriting Officer for Professional Liability. Ms. Grella is commonly called upon as an industry expert by insurance trade and mainstream publications on cyber liability and professional liability issues. She holds a B.S. in finance from Rutgers University and holds a CPCU designation. Phil Kibler is the Global Director of IBM’s Cyber Security Intelligence and Response Team. In this capacity he is responsible for leading a team of elite specialists whose focus is to provide consulting services to clients to protect them from sophisticated cyber security attacks and support them if they have experienced an incident. He is responsible for development, planning, managing and executing the cyber security project-based services IBM offers to clients in the global market. His team leverages internal and external information sources and best practices to bring the best possible level of service and protection to the clients that we serve. Prior to joining IBM Security Services unit, Mr. Kibler was the principal in charge of the IBM Americas Public Sector Solutions team and led the teams that initially created the use of IBM Digital Video Surveillance in public safety applications. Mr. Kibler’s team also was responsible for IBM’s initial foray into Digital Communities and the successful focus on applying Internet technologies in K-12 schools. Mr. Kibler has over 31 years’ experience in information systems technology, business development and marketing, public sector, solutions development, and consulting services. He has worked with large and small enterprises, has consulted and led engagements that include technical solutions design and development, first of a kind techniques, marketing, sales, and brand management, new service and product development, and industry and solution strategy. Mr. Kibler has authored several white papers on technology and its potential use in public sector and speaks at a variety of conferences. 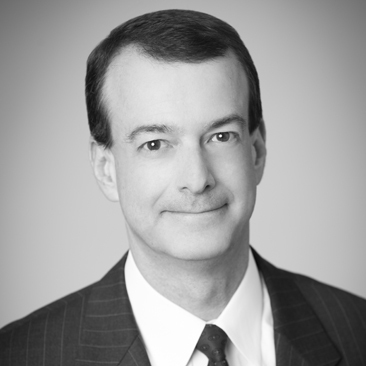 Mr. Maloni is Senior Vice President & Chair of the Litigation Practice of LEVICK, a global strategic communications firm. He is a seasoned crisis communications professional who has been at the center of some of the most complex and challenging reputational issues and business disputes of our day. Regardless of where a catastrophe explodes, Mr. Maloni is always a part of the LEVICK landing party helping to articulate the facts of any situation for the news media, consumers, employees, regulators, financial analysts and shareholders. Mr. Maloni has effectively managed more than fifty matters related to data loss, hacktivism and state-sponsored attacks as the leader of LEVICK’s Data Security & Privacy Team. In 2010, LEVICK was awarded a Gold SABRE award for Crisis Campaign of the Year for its work on behalf of Heartland Payment Systems, the company at the center of what remains the world’s largest data breach. In the months since the breach Heartland’s leadership turned a crisis into an opportunity and the company’s CEO became an advocate for better data encryption standards and tougher security measures to thwart cyber criminals. Mr. Maloni managed the LEVICK team throughout this campaign. As a spokesman for clients, Mr. Maloni has been quoted in the New York Times, Washington Post, CBS Evening News, MSNBC, Fox News, Bloomberg TV, American Banker, and Wired. Mr. Maloni is a graduate of the University of Dayton. Christine Marciano is President of Cyber Data Risk Managers, an Independent Insurance Agency that specializes in Cyber/Data Breach Insurance and in helping businesses and organizations create a data breach response plan through utilization of a cyber security/data breach insurance policy. Christine has over 18 years of experience working in various roles within the Insurance and Financial Services industry. She has held positions at CIBC Oppenheimer, Axa Advisors and Allstate Insurance Company. Christine is a recognized cyber insurance thought leader and is frequently sought by the press for comment on cyber/data breach insurance developments, trends and tips. Christine helps organizations understand not just the various Cyber/Data Breach Insurance policies that are available today, but also the cyber threats of today and the evolving cyber trends of tomorrow. Robert A. Parisi, Jr. is a Managing Director & National Practice Leader for Network Security & Privacy Risk at Marsh where he also leads Marsh’s network of global cyber practitioners. Prior to joining Marsh, Robert was the senior vice president and Chief Underwriting Officer (CUO) of eBusiness Risk Solutions at AIG. Robert joined AIG in 1998 as legal counsel for Professional Liability and held several executive positions, including CUO for Professional Liability and Technology. Robert was instrumental in the development of specialty reinsurance to address aggregation of risk issues inherent in cyber, privacy and technology insurance. Prior to AIG, Robert was in private practice, principally as legal counsel to various Lloyds of London syndicates. Robert holds a B.A. in Economics and Juris Doctorate, both from Fordham University. He is admitted to practice in New York and the U.S. District Courts for the Eastern and Southern Districts of New York and is an active member of InfraGard. Robert has spoken at various business, technology, legal, and insurance forums throughout the world and is been often quoted in the media on cyber, technology and intellectual property issues. Grady Summers is the Vice President of Cloud Security at Mandiant. He has over 15 years of experience solving complex information security problems both as a CISO and consultant to many Fortune 500 companies. At Mandiant, he is responsible for developing next-generation products and services to help companies improve their security posture. Prior to joining Mandiant, Mr. Summers was a partner at Ernst & Young, leading the firm’s information security program management practice. In this role, he worked with CISOs, CIOs, and directors to help improve organizations’ information security programs, with a focus on strategic information security planning, organization design, incident response, and targeted threats. His focus included board-level oversight of cyber security, and he has advised dozens of audit and risk committees on successful approaches to cyber risk governance. Before E&Y, Grady was the Chief Information Security Officer (CISO) at General Electric, overseeing a large global information security organization. GE’s information security function grew substantially under his leadership, including the development of the company’s first incident response team, a software security center of excellence, and global security operations. His previous roles at GE include divisional CTO and a variety of positions in application security, web development, and infrastructure management. Grady’s insights frequently appear in print, and he has been a guest on numerous television programs, including CNN Starting Point, Andrea Mitchell Reports, Cavuto, ABC World News, Australia’s Lateline, and France’s The Interview. Grady holds an MBA from Columbia University and a bachelor of science in computer systems from Grove City College in Pennsylvania. Dr. Robert Zandoli joined AIG in September 2011, bringing more than 25 years of experience in Global IT executive leadership to the IT Security, Risk and Compliance organization. He held senior positions in architecture, engineering and operations of global technology infrastructure at major financial firms, including MetLife and Bank of America. Mr. Zandoli served as Global Chief Information Security Officer at MetLife where he managed the information security programs for the MetLife Global enterprise. Those responsibilities included IT Risk management; security policies, standards and procedures; compliance; threat and vulnerability management; cyber threat intelligence; Security Operations/incident response; Identity and Access Management; forensics; and eDiscovery, as well as Disaster Recovery and Business Continuity. Mr. Zandoli is an active participant in several professional security organizations; has held board positions in many technology industry groups and participates in several industry councils and roundtables as both a panelist and speaker. Mr. Zandoli holds a doctorate from Pace University in Information Technology, a MBA from Baruch College and is a Certified Chief Information Security Officer (C|CISO), Certified Information Security Manager (CISM) and Certified in Risk and Information Systems Control (CRISC).